Belarusian authorities maintain their pressure against independent media and activists. Last week was marked by new measures against political prisoners Syarhey Kavalenka and Milakay Autukhovich as well as Vitsebsky Kurier and Arche independent outlets. Hunger-striking opposition activist Syarhey Kavalenka being force-fed in Vitsyebsk jail. On January 16, the administration of a detention center in Vitsyebsk began force-feeding Syarhey Kavalenka to abort the opposition activist's month-long hunger strike. In May 2010, Kavalenka was given a three-year suspended prison sentence after creating a scandal by putting a white-red-white flag on top of Vitsyebsk's tallest Christmas tree. On December 19, Kavalenka was arrested at home on a charge of violating probation rules four times. He has been on hunger strike since then. Mikalay Autukhovich to be moved to cell-type prison. On January 17, a judge of the Ivatsevichy District Court has ordered the transfer of Mikalay Autukhovich to a cell-type prison. In a trial that was held in Correctional Institution No.5 in Ivatsevichy, Brest region, the judge found Autukhovich guilty of persistent violations of prison rules. The ruling means that the man will have to serve the remaining 27 months of his sentence in a prison where there is higher security and more restrictions. Organizers of Narodny Skhod rallies launch boycott campaign ahead of parliamentary elections. On January 14, people’s representatives elected during "Narodny Skhod" (People's Assembly) rallies at the end of 2010 have launched a campaign of actively boycotting the "imitation of elections" to the "puppet House of Representatives" scheduled for September, Viktar Ivashkevich, one of the main organizers of the rallies, told. The campaigners plan to promote measures to overcome the current crisis and demand freedom for all political prisoners, fair elections and the abolition of the system of fixed-term employment contracts. Co-workers back down on threat to quit in solidarity with trade union activist. Alyaksey Paulouski's co-workers have backed down in a row with the management of a Mogilev-based state-owned construction company that intends to sack the bricklayer and trade union activist. The company management held one-on-one meetings with all of the other 15 members of Paulouski's bricklayer team and nearly all of the men eventually reversed their stance and stopped making any demands. Independent trade unions may launch campaign for EU's boycott of Belarusian imports. Belarus’ independent trade unions are considering the possibility of launching a campaign for the European Union’s boycott of Belarusian imports. “If attempts to crush the independent trade union movement in Belarus continue, we should be able to carry out such a campaign in response,” Alyaksandr Yarashuk, chairman of the Belarusian Congress of Democratic Trade Unions, told on January 18. Arche magazine warned by Information Ministry. The latest issue of the Arche magazine (No.10, 2011) violated Article 22 of the Mass Media Code. The independent journalists reportedly misspelled the name of the Ministry of Information. Apart from that, Arche’s date and number of registration are said to be incorrect. As a result of the alleged violations, on January 10, the magazine’s editorial board received an official warning by Minister of Information. Vitsebsk road police seize independent newspapers. 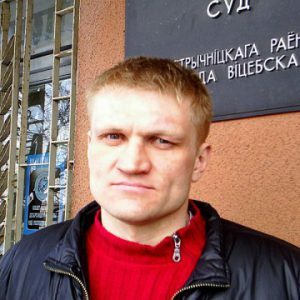 On January 14, Vitsebsk road police seized 10,000 copies of the Vitsebsky Kurier independent newspaper featuring an article “Six facts on Ales Bialiatski’s case that BT and SovetskayaBelorussia fail to cover”. The state-run media have more than 45 million euros in their budget for 2012. This follows from the Law "On Republican Budget for 2012", as BAJ reports. Most of the money goes to television and radio – about 34 million euros. Outgoing president of European Parliament disappointed by EU`s failure to influence situation in Belarus. The European Parliament`s outgoing president, Jerzy Buzek, has expressed disappointment that Europe’s efforts to influence the situation in Belarus are not successful. While speaking in Warsaw on January 15, Mr.Buzek emphasized the need to support the country’s pro-democratic forces, saying that only civil society could change the situation in Belarus. EU, Belarusian politicians call for moving 2014 world hockey championship from Belarus. A group of European Union and Belarusian politicians have petitioned the heads of national ice hockey federations and the EU leadership to move the 2014 Ice Hockey World Championship from Belarus to a different country over human rights abuse and the persecution of Alyaksandr Lukashenka's political opponents. The petition has been signed by Belarusian opposition figures Natallya Kalyada, Mikalay Khalezin, Iryna Krasowski, playwright Tom Stoppard, etc. Swedish politician not allowed in Belarus. Embassy of Belarus in Sweden refused to grant visa to the head of the regional structure of the Social Democratic Workers' Party of Sweden, Lars Ove Yangson. The Swedish politician had planned to arrive in Brest on a working visit at the invitation of the regional organization of the Belarusian Social Democratic Party (Hramada) and the Free Trade Union of Belarus in Brest. December 19 once again recalled in Vilnius. On January 16, Belarusian Human Rights House in conjunction with the Human Rights Centre Viasna and the civil campaign "Our Home" presented the book, calendar, children's colouring book, postcards, and a number of video clips dedicated to the participants of 2010 Ploshcha. As Russia is finalizing the terms of its accession to the World Trade Organization, Belarus struggles to understand what this accession will mean to it. The question is difficult and important because Belarus closely cooperates with Russia as member of the Customs Union and the Common Economic Area. On 16 December, 2011 the WTO trade ministers accepted Russia’s bid to join the WTO. Even under the most optimistic forecast Belarus will only follow its larger neighbor in 2-3 years. The idea of accession of the Customs Union to the World Trade Organization as a single entity had been popular for a while but has now sunk into oblivion. A few things will certainly change for Belarus: customs rates will decrease and non-tariff measures will change in relation to the goods imported from the WTO members. This may benefit Belarusian consumers but hurt Belarusian producers. Although the precise effect of Russia's accession deserves a serious study, one can also hope that approximation of the Customs Union’s non-tariff measures to those of the WTO will make regulation of Belarusian imports more liberal and transparent. The so-called Schedule of Goods was among the most important documents Russia had to prepare in the final stage of its accession to the WTO. This document stipulates Russia’s final inbound rates – the customs rates which it must implement if they differ from the rates effective as of the date of accession. Russia presented its commitments to the WTO in front of the Customs Union Commission on November 18, 2011. The rates stipulated in its Schedule of Goods were approximately 3 per cent lower than the ones currently stipulated in the Common Customs Tariff. The biggest difference is in the rates for agricultural products, household appliances, and vehicles. The question is what this Schedule of Goods means for Belarus. It may sound counterintuitive but the obligations on rates will automatically apply to Belarus. This follows from the Agreement “On Functioning of the Customs Union Within the Framework of the Multilateral Trade System”. It provides that from the moment of accession to the WTO of the first party to the Customs Union the rates of the Unified Customs Tariff will not exceed the import customs rates indicated in the Schedule of Goods attached to the protocol of accession of such party, unless otherwise provided in the WTO Agreements. The WTO Agreements say nothing on this matter. As a result Russia's obligations with regard to import rates to the goods from other WTO members will be equally applicable to Belarus and Kazakhstan as members of the Customs Union. In other words, not only Russia will have to open its market to cheaper imports but Belarus will have to do the same. This may be good for Belarusian consumers but may hurt Belarusian exporters. As for the rates applied by the WTO members to the goods exported from Belarus, the situation is quite different. 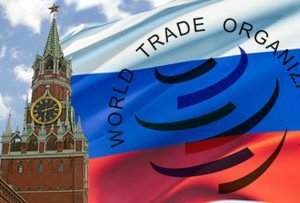 Russia’s WTO partners do not undertake any customs tariffs obligations with regard to exports from Belarus and Kazakhstan. Within the WTO the customs rates depend on the country of origin of goods, and the rates agreed with Russia will be applied to the goods originating from Russia only. In other words, WTO member states will have to lower their customs rates to goods originating from Russia, but not from Belarus. Many Belarusian exporters optimistically think that the Unitary Certificate of Compliance of the Customs Union issued with respect to the goods originating from Belarus will ensure a more favorable treatment in accordance with the WTO agreements. Unfortunately their optimism is not justified for the same reason that the WTO members treat goods depending on their origin. Belarusian exports will still originate from Belarus. At the same time the goods of the WTO members imported into Russia will benefit from the privileges of these Agreements, and will be granted certificates of compliance on more favorable terms. However, in the sphere of technical, sanitary, and phytosanitary measures Russia’s accession to the WTO can bring a few very positive trends to members of the Customs Union. Russia undertakes an obligation to bring the regulation of these measures into compliance with international standards. The Customs Union applies unified sanitary, epidemiological, and hygienic measures and their adjustment to the international standards may make them more liberal and effective. The Customs Union member States also tightly cooperate in the area of technical regulations. A number of technical regulations of the Customs Union are still to be adopted. To comply with relevant international standards, Belarusian business may only benefit from it, especially in the long run. Additionally, Russia is going to undertake an obligation on transparency of the procedure of certification of compliance. Those who want to export goods to Russia will be entitled to appeal denial of import permits and to obtain detailed explanations of such denial. Introduction of the same rules within the whole Customs Union is not required under its legislation, but because the parties to the Customs Union committed to coordinate their policy related to technical regulation, this undertaking may improve the transparency of this field in Belarus as well. A long list of factors is yet to be analyzed to assess the effect on Belarus of Russia’s accession to the WTO. But it is already clear that the expected changes in customs rates, technical, sanitary, and phytosanitary regulations will greatly affect Belarus. The existing analysis of this effect is still very weak and Belarus needs to seriously study it to make sure it does not become a passive object of Russia’s decisions.